love Korean-style rice rolls because of its colorful ingredients. 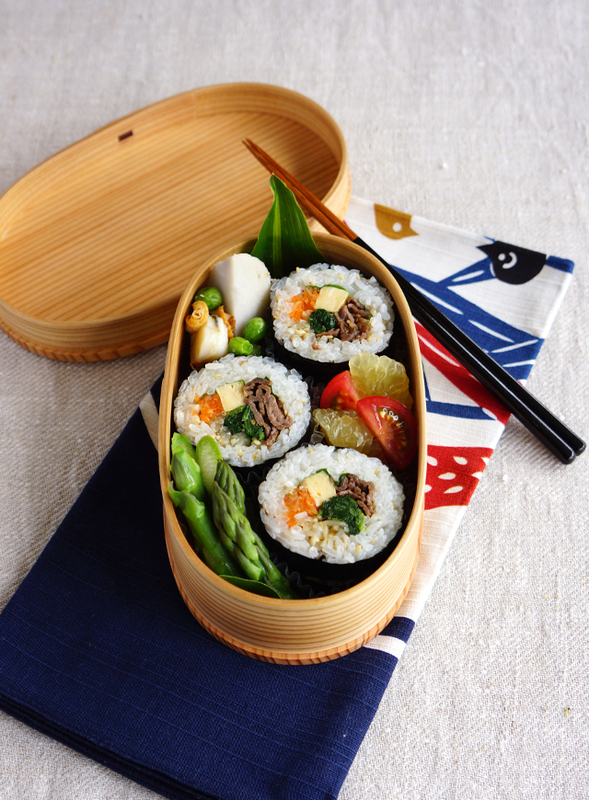 and Gimbap can be made with any fillings though, my favorite is always the combination of seasoned veggies, egg and soy-glazed beef. 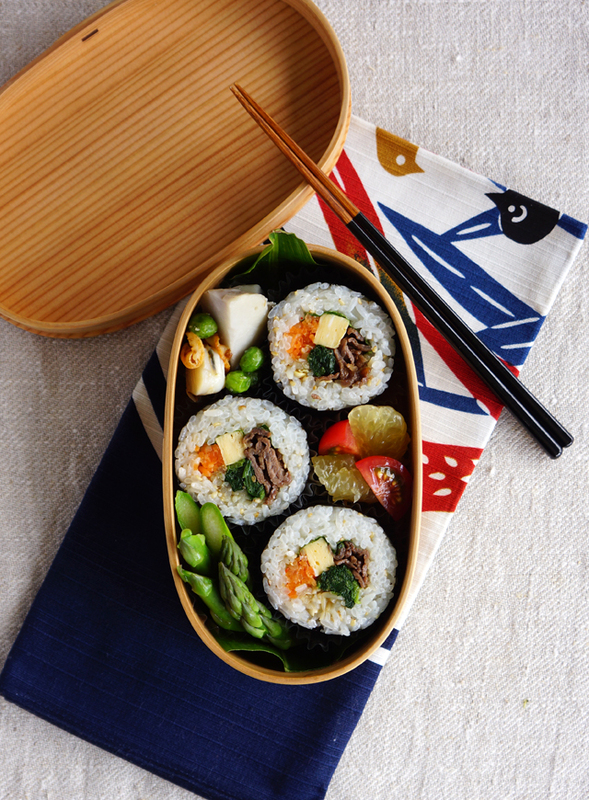 How to pack Gimbap and the food into the bento box. Rice rolls add wonderful color and texture to the obento presentation. I like the combination of the colorful rolls and basic side dishes.